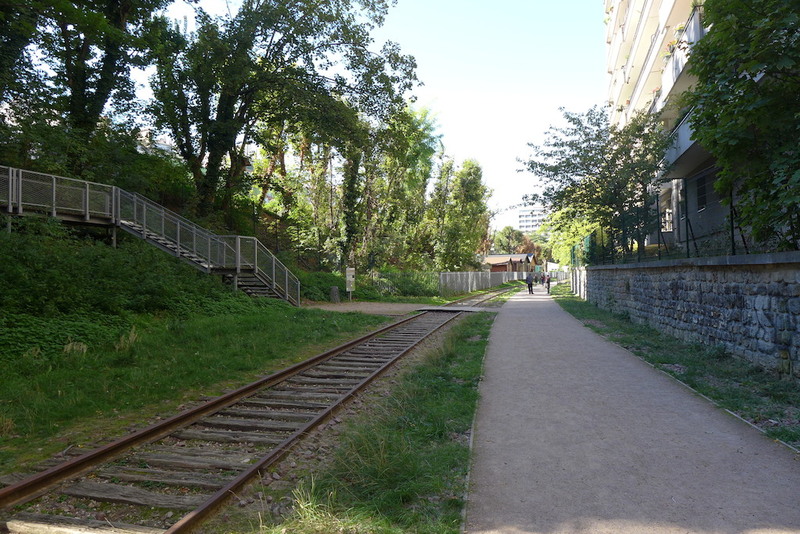 The landscaping of the Petite Ceinture du 15e preserves the railway heritage and the biodiversity: more than 200 species of plants and animals have found refuge in the vegetation that has invaded the site, and mainly its slopes, since it is disused. 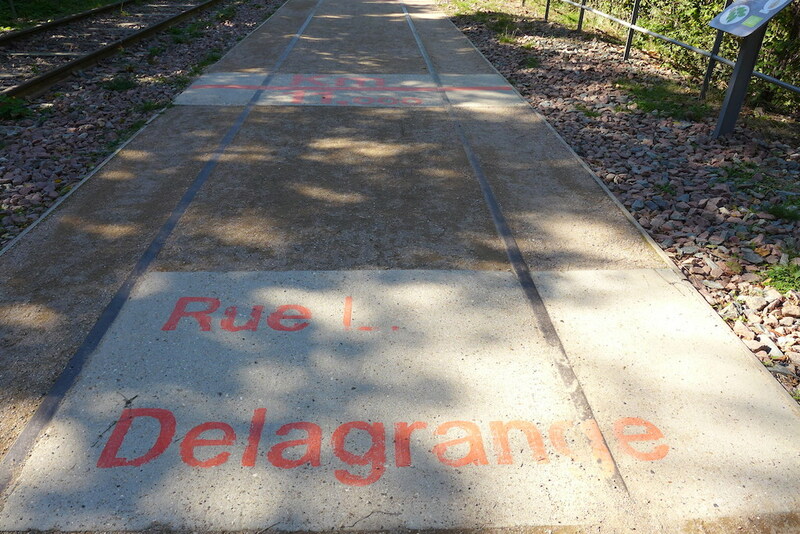 The laying out has been planned to be fully reversible and the rails preserved so that trains can run there again in the future. 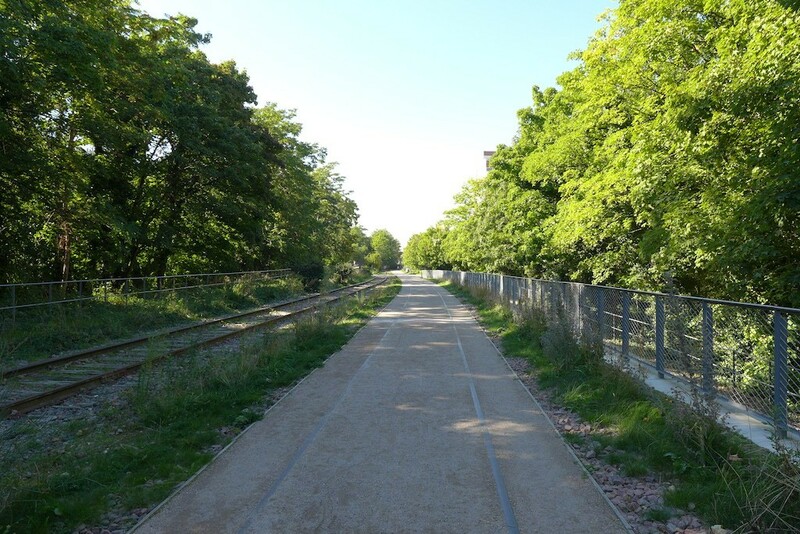 This green walk is largely unknown and one meet there only few pedestrians, mainly local residents taking a breath of cool air. 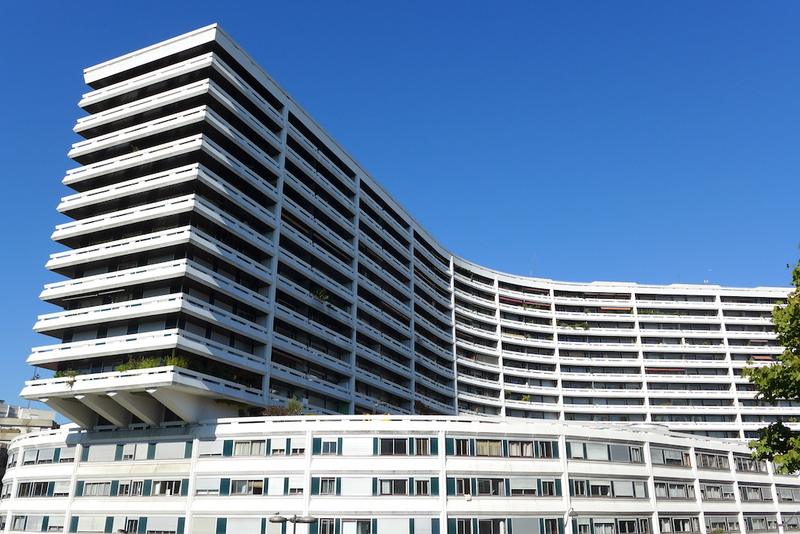 I like it for its peace and quiet and for its contrasting landscapes between nature and buildings. 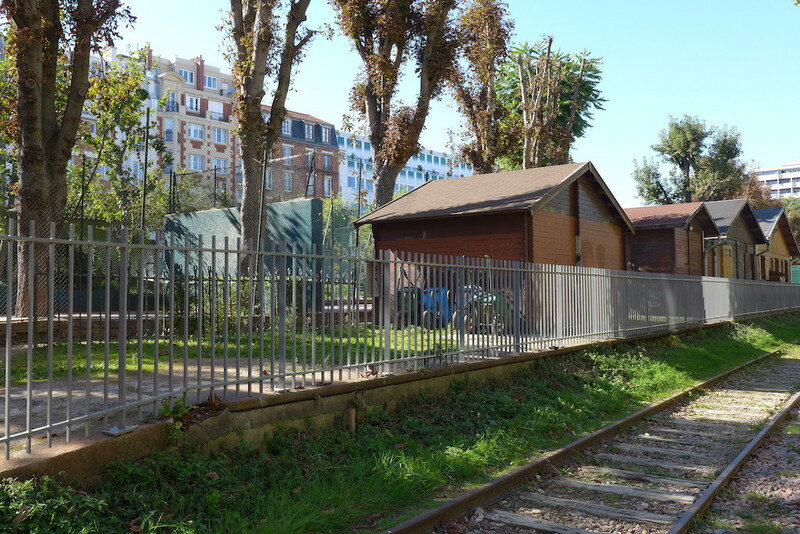 I have also enjoyed going back to the time when trains were still running while walking along the former station of Vaugirard. I only wish the walk were longer: 1.3 km is really too short! 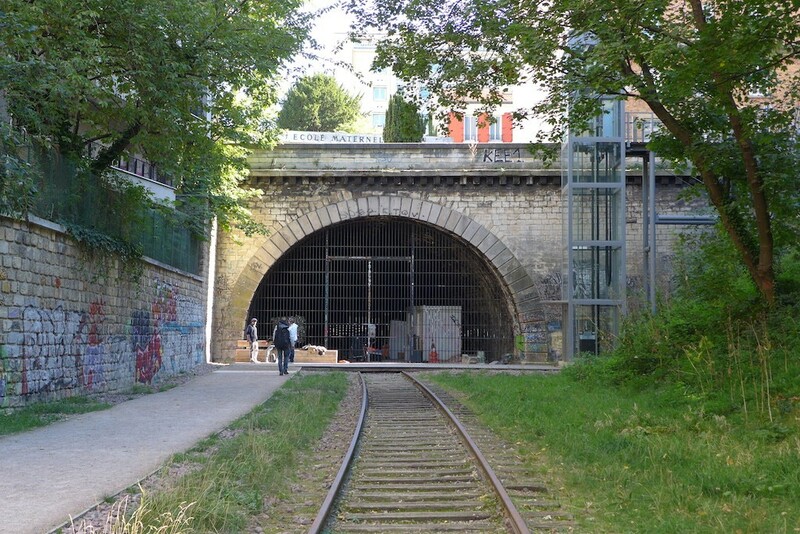 I walked from east towards west entering the Petite Ceinture du 15e at its beginning at the level of 108 rue Olivier de Serres. 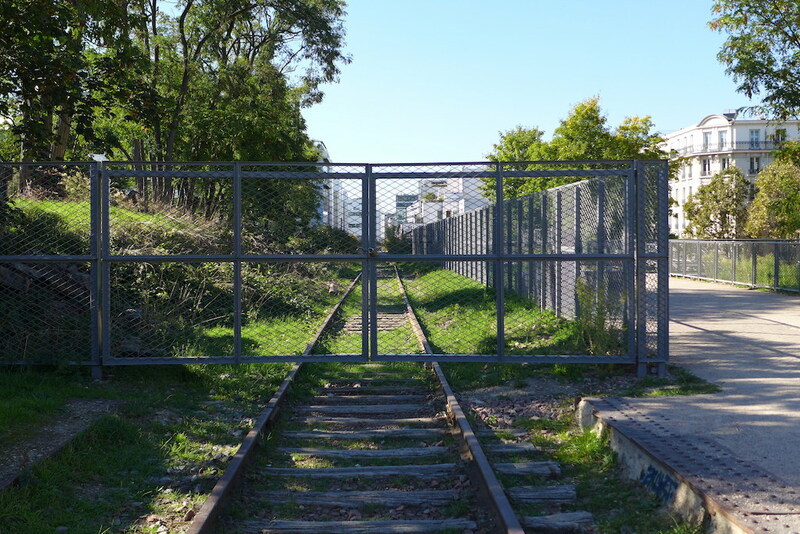 There the path starts under earth in a trench ended by a tunnel not fitted out yet and can be reached either with an elevator or with a long staircase down. 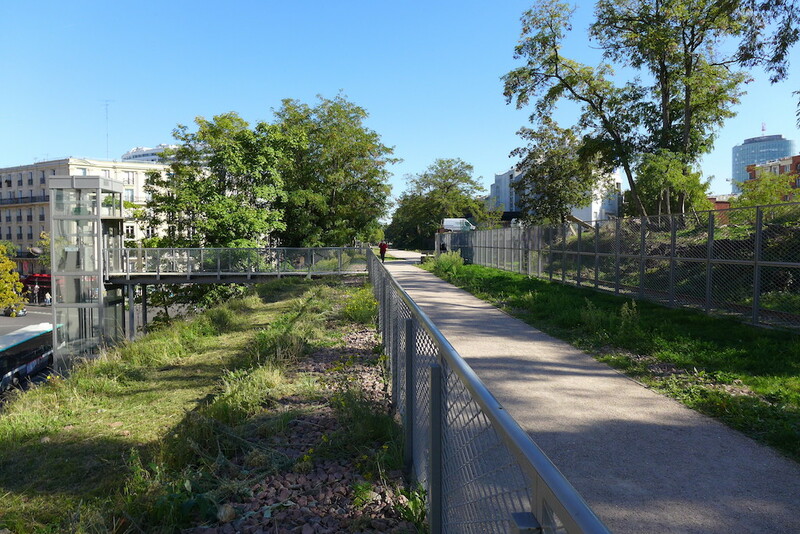 Rapidly the path runs above the street level, offers pleasant views on the city and its buildings and spans the streets by several bridges. 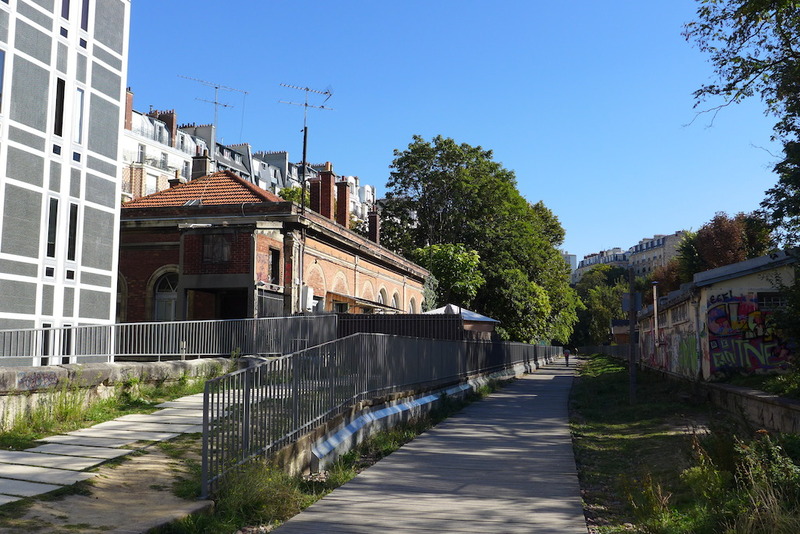 Shortly after the entrance one will walk along log cabins and see several tennis courts on both sides of the walk: this is the Tennis Club Cheminots de Vaugirard, one of the most secret tennis clubs in Paris, offering 8 courts in a family atmosphere. 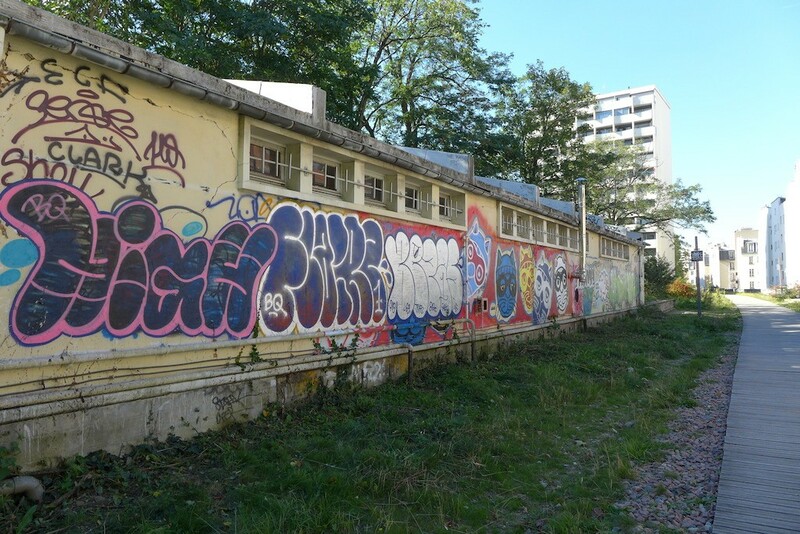 A few meters further one can admire on the right side the red brick building of the former train station of Vaugirard and have a look at the mural painting on the opposite side. 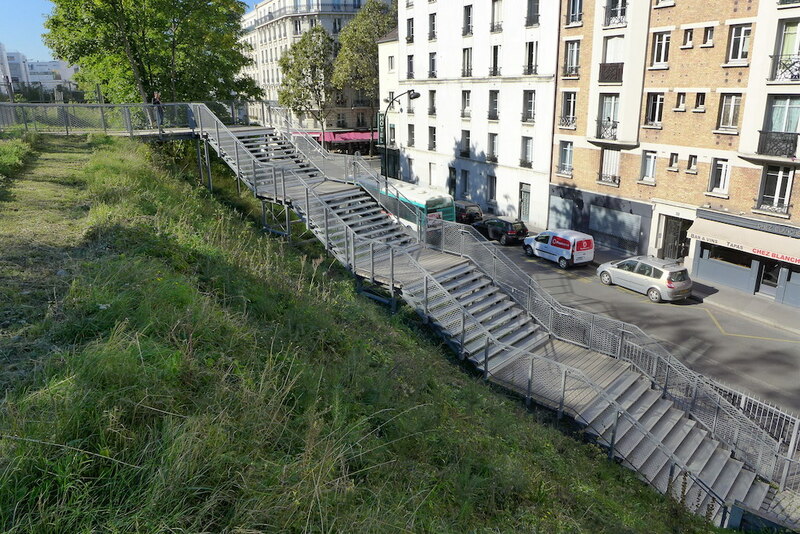 Stairs allow you to leave the Petite Ceinture and reach the rue de Vaugirad if you wish. 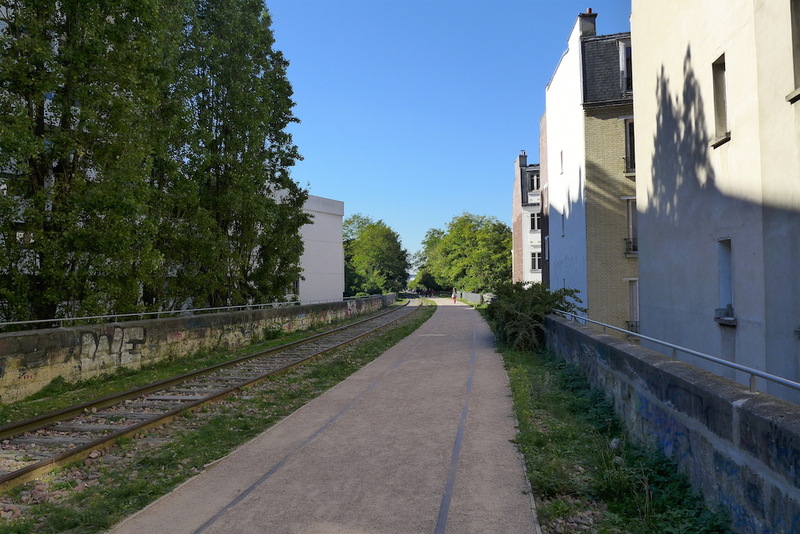 Shortly after the exit Rue de Vaugirard one enter the greenest and wildest part of the Petite Ceinture du 15e where the vegetation is the most present. 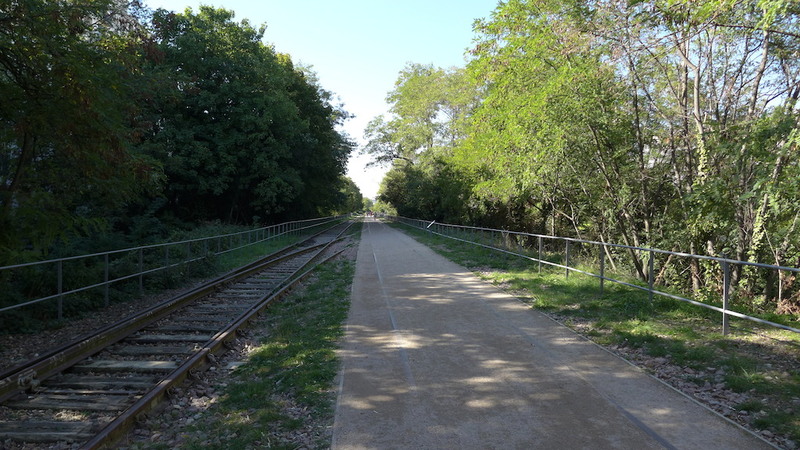 From time to time it looks like one has left the city as the pedestrian path and the railway are alone in the middle of nature. 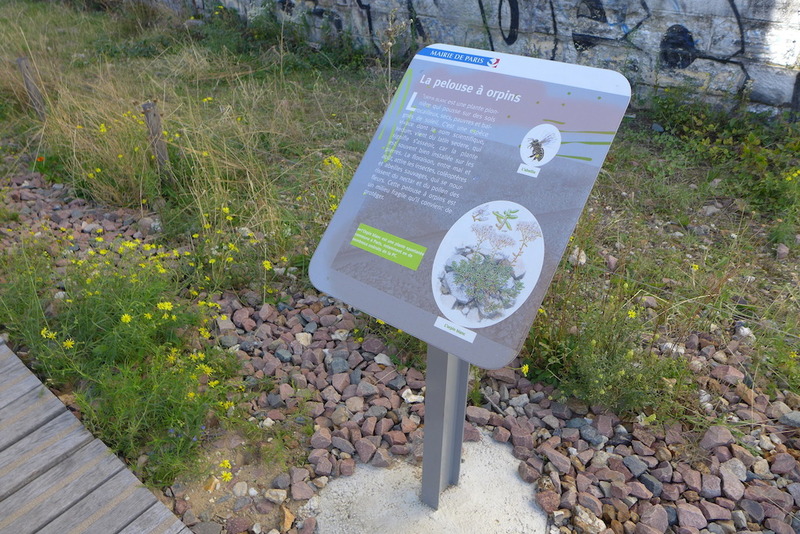 Educational signs along the path explain the different kinds of plants and red marks on the ground indicate regularly the streets that one is crossing. 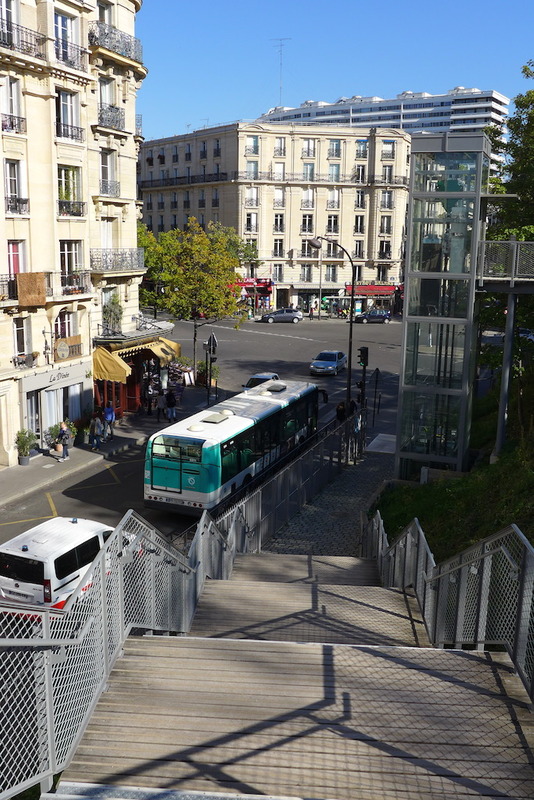 At the level of the rue Desnouettes one can leave the walk and reach the city again either using stairs or an elevator. 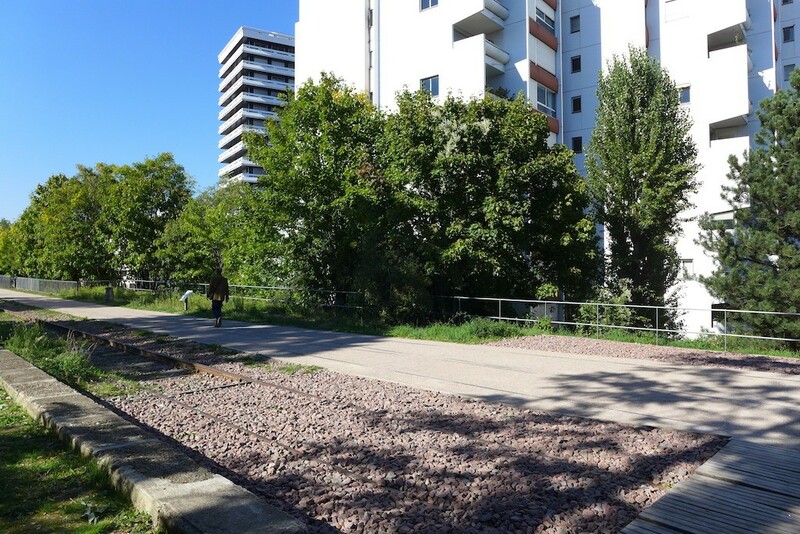 In this last part of the walk the views on the city and the neighbouring buildings are the most unobstructed. 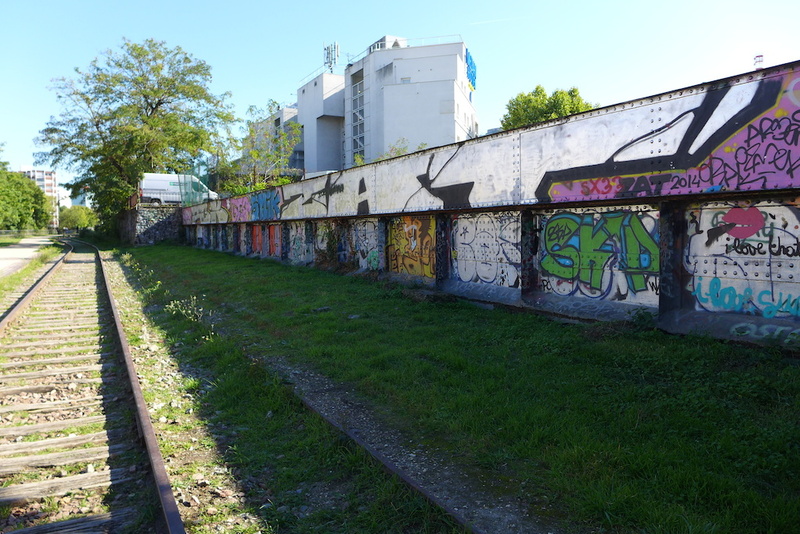 The Place Balard is surrounded with a mix of ancient and more recent buildings on which the Petite Ceinture offers nice viewpoints… and still plants, trees and mural paintings, the whole making the very special atmosphere of the site. 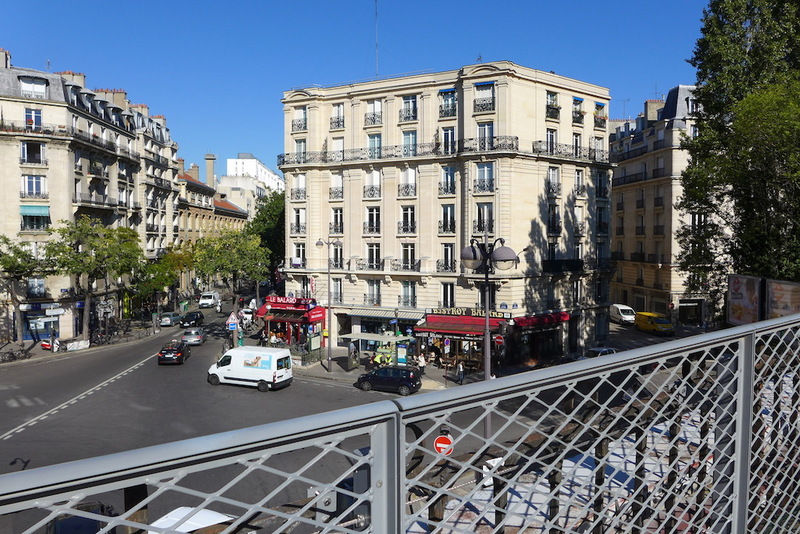 Our walk is coming to an end: choose between the elevator and the huge stairs to go down to the Place Balard! 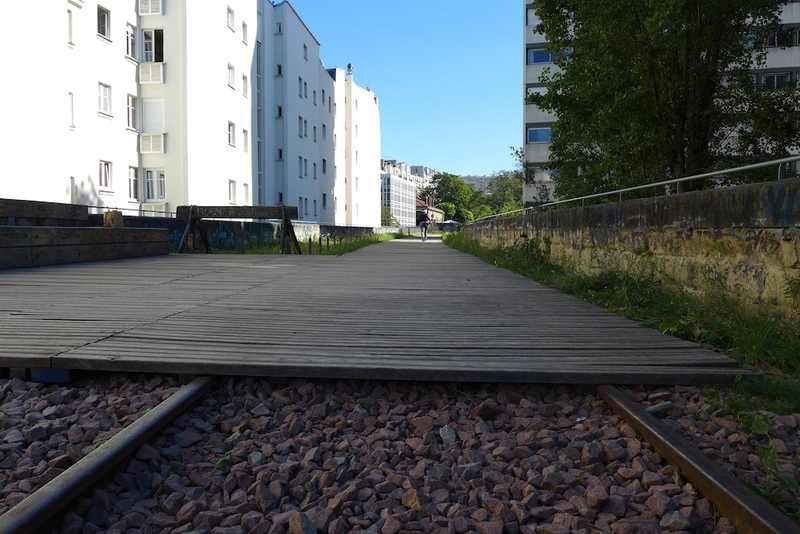 I loved this walk… but I found it too short! 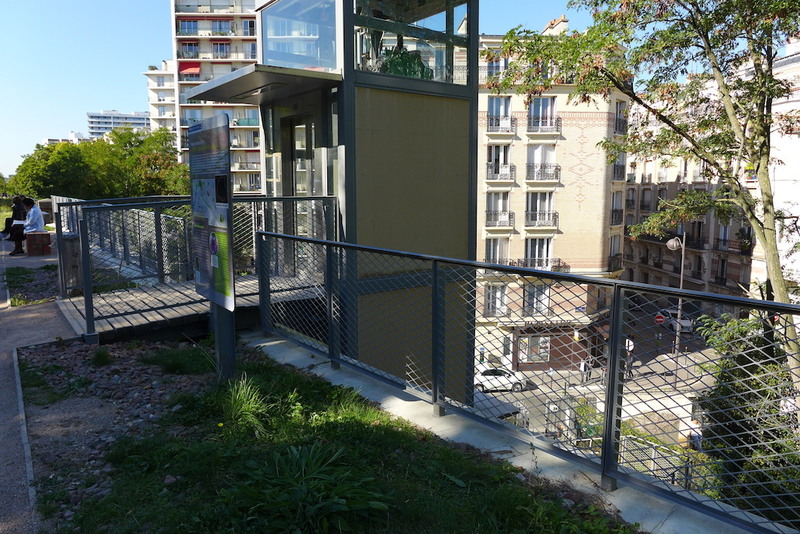 I hope that in the near future this gate will open and the path be extended towards the Parc André Citroën. 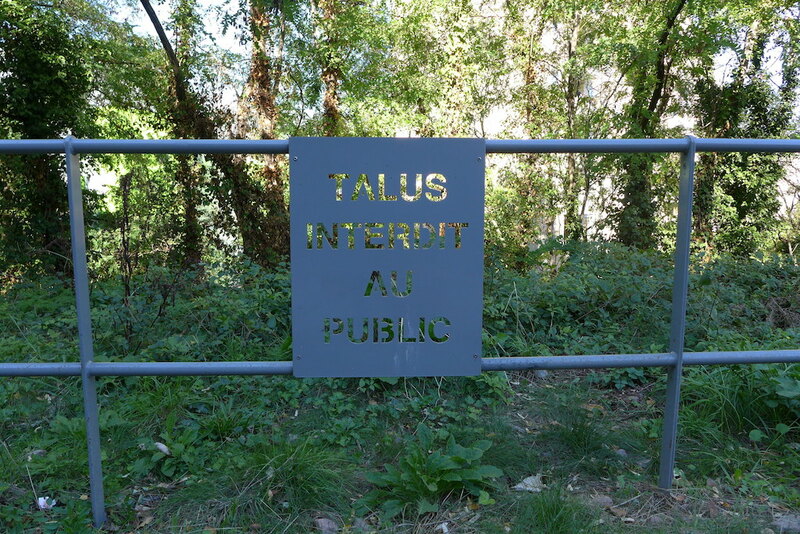 At the moment one has to go down to the Place Balard and walk about 5 minutes in the rue Balard so as to reach the Parc: To do, if you have not had enough of nature and fresh air!